Explore the relationship between an organization’s meeting planners and its membership team to grow membership enrollment as well as attendance. Meetings are at the heart of the membership value proposition while members are at the core of a successful meetings. Your annual meeting is a living portrayal of the purpose of the organization as members and other constituents come together to get closer to its mission. Learn how these two significant areas of associations work synergistically to drive organizational growth. This session will look at the four types of constituents, the In It ForEVER™ Principle (which focuses on the four major needs of members and attendees: experience, value, engagement, and relevance), strategies and techniques for collaboration between meetings and membership stakeholders, and ideas and activities to implement at meetings and conferences to support membership development. Analyze current offerings in both membership and meetings to determine where they stand currently. Determine how those offerings can be improved in four key areas (experience, value, engagement, and relevance). Lunch Presentation: "Attendees & Members Are In It ForEVER"
Organizations focus a majority of their resources and energy on marketing and communications to achieve incremental growth while neglecting four key areas to drive exponential growth. Join us as we take you through these areas that will grow your organization. Together Dan and Nicole have over 30 years experience in the Association world. In his more than 20 years as an association professional, Dan has specialized in membership development and retention at all levels rising to executive levels of both professional and trade associations. All of these organizations achieved records in membership growth during his tenure. The size of these organizations range from 1,200 members to 175,000 with operating budgets of up to $60 million. His experience includes leading membership development, constituent relations, customer service, and direct sales teams. In several cases, Dan pioneered and championed the use of social media and online meeting platforms for membership development purposes. He regularly took on the role of change agent for the culture within these organizations advocating for membership to be at the core of the overall business model. Nicole, who is both a CAE and CMP, has over 16 years of experience in association management with expertise in meeting and event planning, educational programming, board and committee relations, communications, and more. She is a former Executive Director of a national association where she handled the day-to-day operations, membership, marketing, meetings, and education. 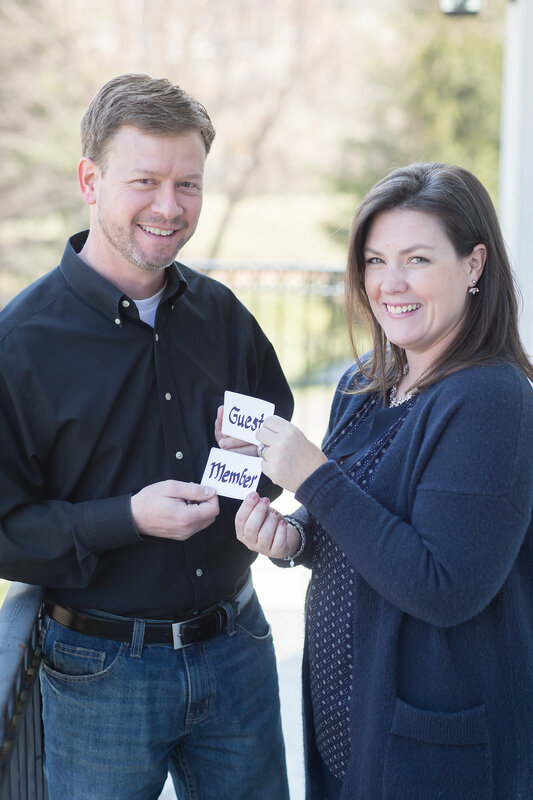 Her membership and meetings experience deals more with the small staff while Dan has primarily been on the large staff. Their combined experience is what makes them a unique team. Both are active within the ASAE community with Nicole having served on several committees. The Westin Richmond is offering a special rate of $149 plus taxes for room reservations. Contact The Westin by telephone at (888) 627-7786 and identify yourself as a member of VSAE to book your reservation. 4 Paws Animal Rescue is the charity for this month's Seminar Series with Lunch. 4 Paws Animal Rescue specializes in the rescue and placement of abused, unwanted and abandoned companion animals. They never discriminate on the basis of health, age or breed. By involving and educating the community, 4 Paws Animal Rescue works to raise the public's awareness of the plight of homeless animals as well as realizing the benefits of adopting an animal in need. Their animals are examined, vaccinated, spayed or neutered and receive any and all medical treatment before they are placed in carefully screened homes. 4 Paws Animal Rescue is a 501c3 non-profit organization. Please bring a donation(s) for 4 Paws Animal Rescue from their wish list. A raffle ticket will be given for each item donated. CLICK HERE or see their Amazon Wish List. Payment can be made by credit card using our online registration link above or by mailing a check payable to VSAE using the printable registration form.